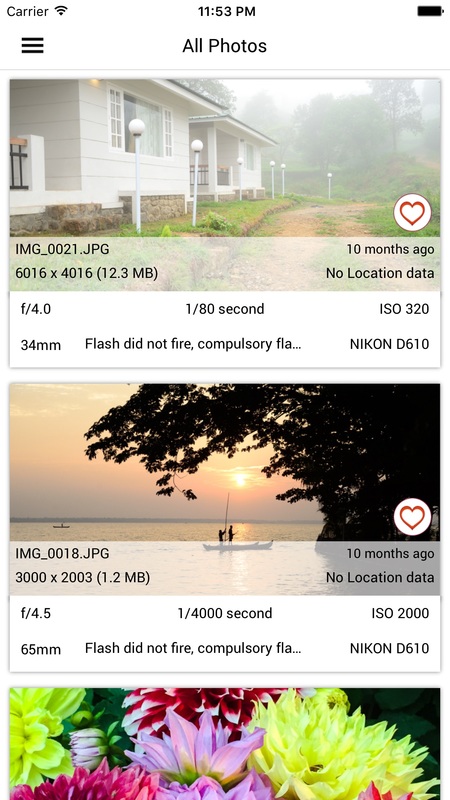 [prMac.com] Thrissur, Kerala, India - Fluntro today is glad to announce the release of Exif Viewer by Fluntro 2.7, a beautiful and well crafted iOS app for photographers and photo enthusiasts. This useful app displays EXIF metadata of any photo on any iOS device(s), Photo Stream or iCloud, including EXIF metadata tags like ISO, shutter speed, focal length, camera model, lens model, lens serial number, time stamp, aperture, shutter count and more. Users have the ability to customize the UI, re-order EXIF tags in the way they prefer, with the ability to hide EXIF tags that they don't want to see as well as select preferred date formats (eg 1 day ago vs August 24th 2014 vs 24-08-2016 etc). The app also supports three different types of Views, Exif Cards List view mode, Grid view mode and Map view mode. Users can remove EXIF Metadata including Photos GPS location (known as Geotagging of photos). They can share an image with or without EXIF metadata, copy EXIF data to Clipboard (So that you can paste & share EXIF data as text in any other app). The app also supports 3D Touch on iPhone 6S and iPhone 6S Plus (or newer device with 3D Touch support). Exif Viewer includes shortcuts to access Favorites, Photo Streams, Albums, and All Photos quickly. Also Peek and POP functionality on ExifCards and photos in grid view. This app also contain Exif Viewer Photos Extension and iMessage App extension along with fully functional app. Exif Viewer by Fluntro is localized into English, Danish, Dutch, French, German, Italian, Japanese, Portuguese, Russian, Simplified Chinese, Spanish and Traditional Chinese languages. Exif Viewer by Fluntro 2.7 is only $0.99 USD (or equivalent amount in other currencies) and available worldwide through the App Store in the Photo & Video category. Located in Thrissur, India, Fluntro creates iOS Apps that our customers love to use. All Material and Software (C) Copyright 2016 Fluntro. All Rights Reserved. Apple, the Apple logo, iPhone, iPod and iPad are registered trademarks of Apple Inc. in the U.S. and/or other countries. Other trademarks and registered trademarks may be the property of their respective owners.